Family carers are the backbone of care giving for those in need of extra assistance. Most of us will be carers or, indeed, cared for at some point in our lives. The role of the carer is an all-consuming, life altering role and it is one that is so often over looked. As a carer, you devote yourself to the wellbeing of another indi vidual, often for years at a time. 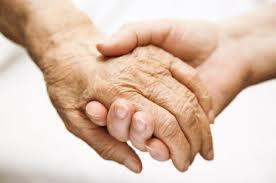 A carer may feel the need to be present 24/7 to watch over and care for those who are vulnerable. This can be a life altering and highly involved role that, often, leaves little time for the carers own life. With our combinations of care technology products and our ‘always there’ caring, compassionate staff in our monitoring centre, carers can not only rely more heavily on us to be there to help their loved one, but we also offer support and resources to help you navigate the complex and responsible role of family caring. Tunstall Emergency Response has a range of products to make it easy to implement a bespoke telecare solution, meaning that you, the carer can carry on living life with the reassurance that your frail, elderly or vulnerable loved one has all the assistance they might need at the touch of a button. Talk to us today about our wide range of carer products and packages.